I had the nicest wedding consultation with Helen last year. The initial enquiry was for yellow roses with white September Daisies which isn’t one of my favourite flower combinations but I did my homework and prepared some lovely images of alternative flowers; Rose domes in greens, creams and lemons or romantic posies made with clouds of september/Chamomile/Gyp. She loved all my images and was very open to new ideas which made her one of my favourite clients! 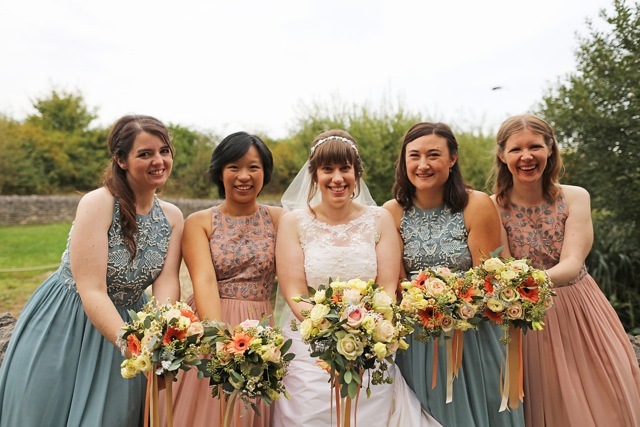 The wedding venue was the Wetland Centre in Barnes which is a nature reserve on the flood planes of the Thames in West london. This place is a haven for wild life in the middle of an (sub)Urban area and is mainly used by migrating water fowl. So during our consultation it is becoming clear that the groom in question is a serious bird lover, hence the venue, so we are discussing interesting ways of including this theme into the wedding flowers. 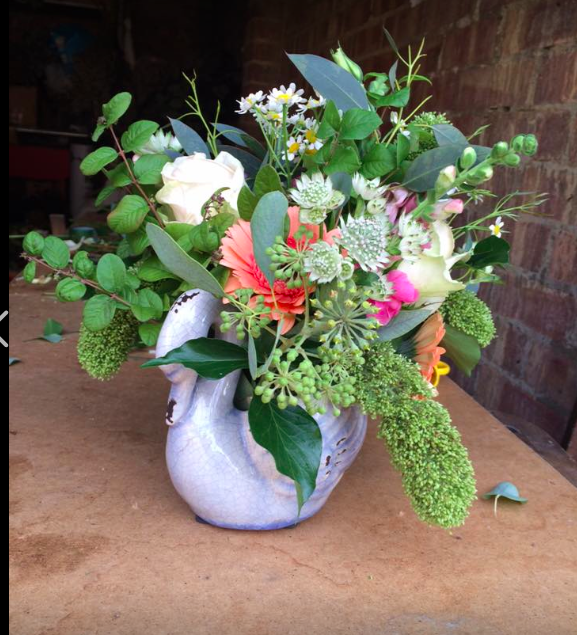 For the venue flowers I suggested to get these lovely kitch flower pots in the shape of a swan (did I mention that they really liked swans?) I had seen them trending on some cool social media site and found some reproduction once from China, complete with fake craqueluer and goldy bits, and they were just perfect! We filled them with peach and creams fluffy soft summer flowers and wild grasses to relect the amazing view of the Wetlands stretching out of the venue’s windows. 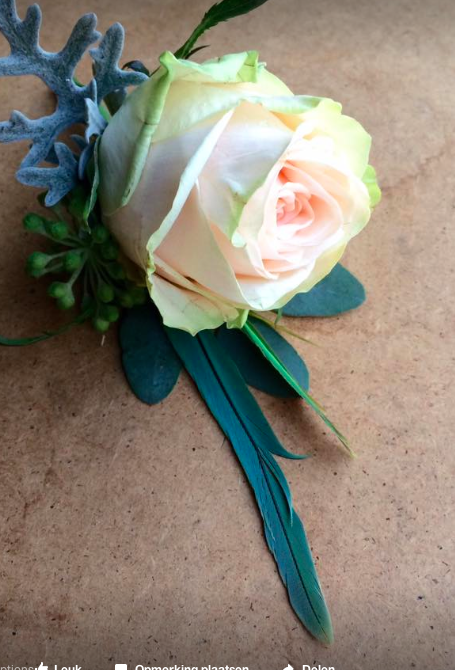 The next special request was the groom’s buttonhole; If we can please add a green Parakeet feather into his buttonhole! The bridal flowers were a mix of peach and cream tones which included the brides favourite flower, the Gerbera Daisy. 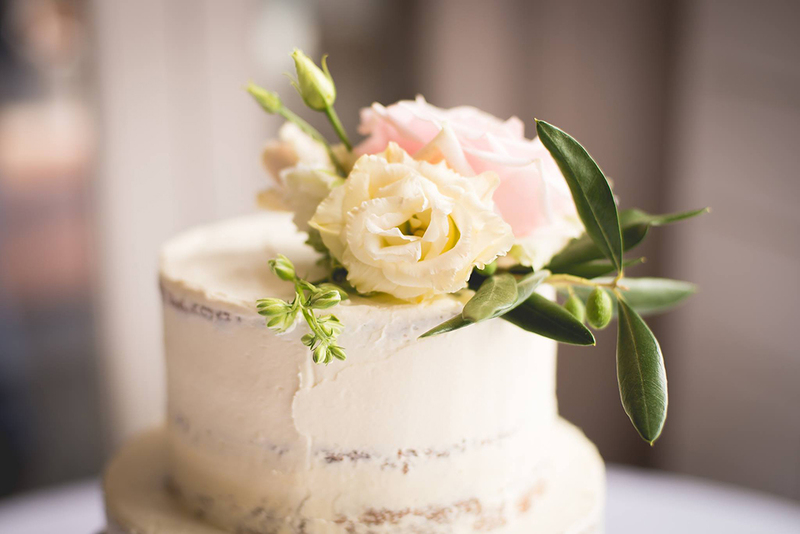 We love a bespoke wedding here at Rose&Mary. 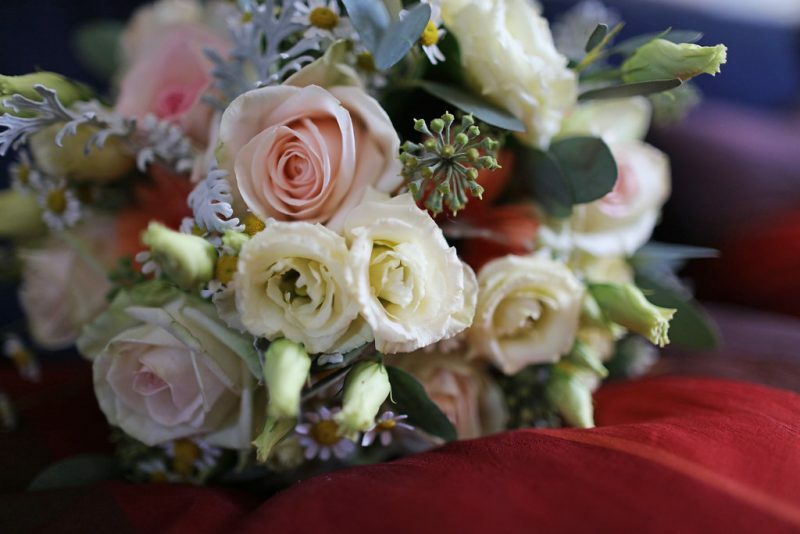 Let the bride and grooms personalities and passions shine through and be reflected in their wedding flowers. Eveybody has a favourite flower and we will do our best to incorporate everything that you love and passionate about onto our wedding work.